Parikrma would like to thank all our donors who have ensured that our student Vinod has sufficient fees to pay for his first year of Engineering. Since we have met Vinod’s immediate requirements, we would now like to keep this campaign open to collect funds for the next 3 years of Vinod’s 4 year Engineering course. The funds we collect will go a long way towards ensuring that Vinod does not have to stop his studies any time midway due to insufficient funds. The additional amount required to ensure completion of his Engineering degree would be Rs.90,000. Again, while about Rs.75,000 would go towards 3 years of college fees, the remaining Rs.15,000 would be used towards the cost of Vinod’s books, stationary, bus fare etc. Upon completing his education at Parikrma Foundation's Jayanagar school, Vinod Kumar has finally achieved his dream of studying Engineering. 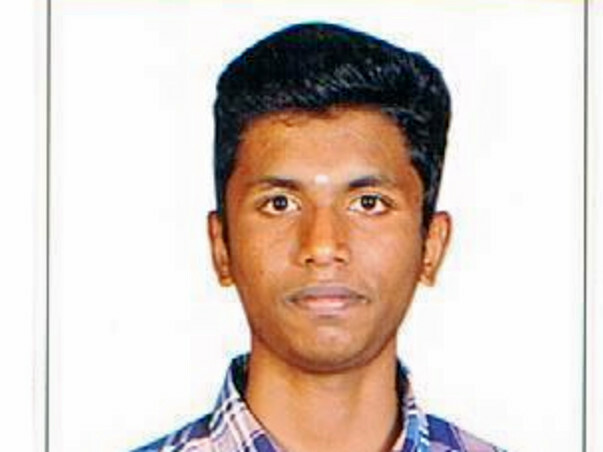 He has just been accepted through the regular CET allotment, into the Industrial Engineering and Management course at one of Bangalore's finest engineering colleges, B.M.S COLLEGE OF ENGINEERING, Basavanagudi. Given his family background, however, Vinod is worried about his ability to continue with his education. Vinod's father is a coolie. However, most of the money he makes goes towards his own medicines since he is sick much of the time. Vinod's mother works as a house maid. Thus, the family's total income rarely exceeds Rs.6000 a month, and even ensuring 2 meals a day on a regular basis is not easy. Inspite of this, Vinod's elder sister has completed her BCom and is into her 2nd year Law program. Recognizing her academic performance and commitment, a generous donor has come forward to sponsor her education. It is now Vinod's turn to look for a sponsor or sponsors to help him pay his fees and ensure that he can complete his Engineering. If he is able to do so, it would vindicate Parikrma Foundation's basic premise that investment in high quality education is the best way to transform lives and break the circle of deprivation that our students are born into. The Rs.30,000 that we hope to raise would go towards paying his first year fees at B.M.S and take care of sundry expenses such as bus fare and some minimal books and stationery. Good luck everyone. Vinod - i wish you the very best in achieving your goal of becoming an engineer!